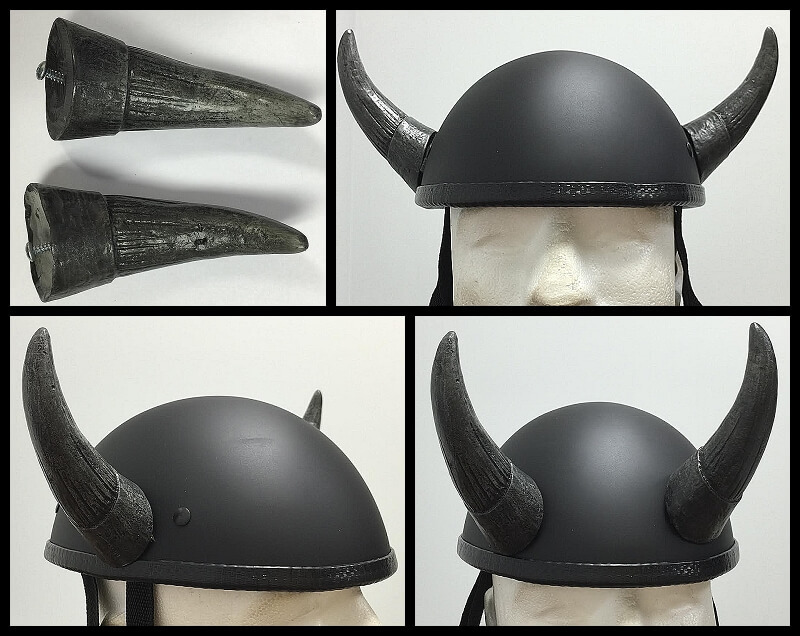 Awesome Motorcycle Helmet Bull Horns for your Motorcycle helmet - A new and exciting product made in the USA. Add this unique look to your helmet today and bring a smile to everyones face. We get these Helmet Horns hand made for our customers so we take a lot of pride in this high quality horn. If you ride Motorcycles, Inline, Skateboard, BMX, Moto-X, or Streetbikes and wear a helmet then this is the HOT NEW LOOK you want.